I remember the old days when my sister Bonnie and I would sit down on the floor together, open our big book of Valentine cards, and start choosing who would get what. By the time I had children of my own, all I could seem to find were boring Valentine packs that all looked the same. Christian ones? They were far and few between. 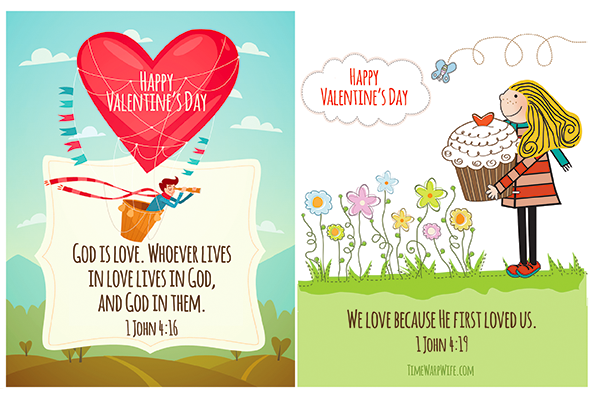 And so, a couple of years ago, Madison and I decided to make a set of printable Valentine Cards with Bible verses on them. If you’ve been following me for a while, you might have noticed that this collections been growing over the years. If you happen to know a family who might like these, maybe you can send them a link to this post. Your VD cards sneak peak show a black cat on turquoise background but it is not available. I looked at each page and it’s not there. Be still my ever loving heart 💓. Thank you for these!!! Brought so much joy to my heart. Now to create some baggies to give these out. For several years have printed and given to children when they checked out books in our church library. Thank you for these adorable Valentines Cards! I’m so excited to print them off and hand them to some one to spark joy in their life. I was looking for a way to thank the many people who help me with the church nursery. I was prepared to make some run of the mill card myself when I noticed these. They are so nice. Thank you for making them available. By the way, they print perfectly on blank postcard stock so they are already perforated. Thank you so much for sharing all the lovely printables. 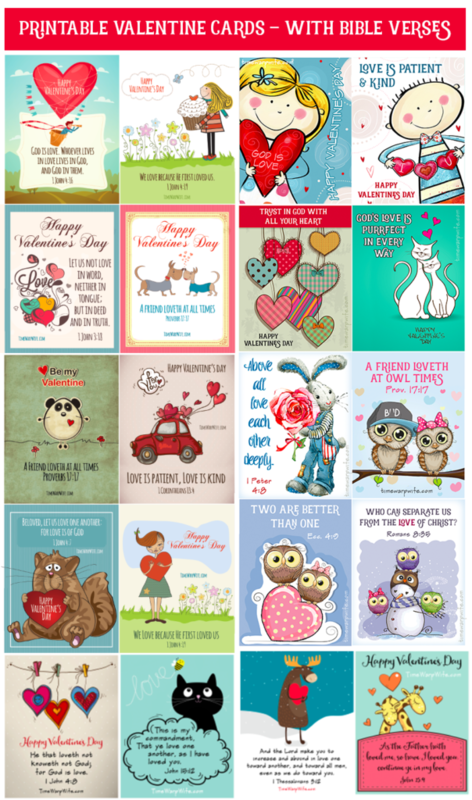 Beautiful valentine cards!